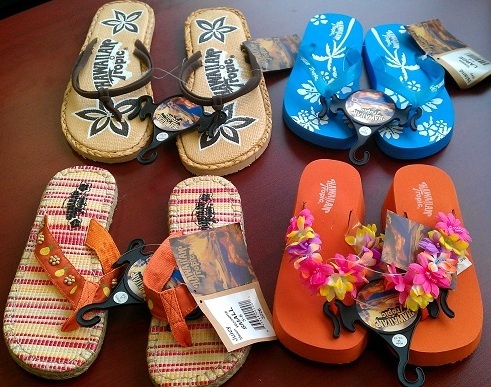 Hawaiian tropic flip flops. Comes in 4 styles and 6 colors per style. Each case pack contains 12 units per master carton - 3 of each size - Sm, Med, Lg and XL. All come on hangers with barcode.